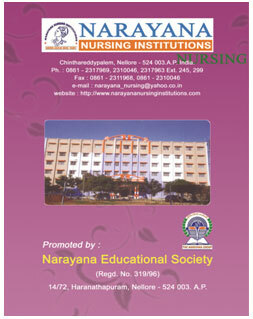 Narayana Nursing Journal is published by Narayana College of Nursing, Chinthareddypalem, Nellore, Andhra Pradesh, India. It is a nursing profession focused Journal with ISSN: 2278-5361. This Journal is a quarterly peer-received Journal, which is an essential resource for all nurses who aim at professional development. The publishes original research articles and short communication, recent advances which illuminates nursing profession. All the articles are peer- received by leading authors in the profession to ensure the originality and quality of the research papers and review articles. Duplication of work and routine papers are discouraged. 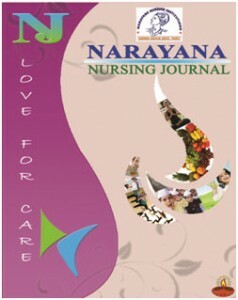 The Narayana Nursing Journal works with the aim of disseminating nursing research to nursing community worldwide. This Journal helps to maintain an expert and concise method of keeping up to date with recent innovations and developments in modern nursing and the wider healthcare system. It also helps us to keep our finger on the pulse of nursing issues beyond the National and International level.